Comprehensive information about Antonio Machado including biographical information, facts, literary works, and more. Spanish poet; a leader of the Generation of '98. 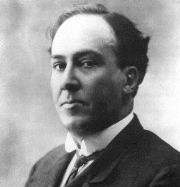 This educational Antonio Machado resource has information about the author's life, works, quotations, articles and essays, and more. Articles about Antonio Machado or articles that mention Antonio Machado. Here are a few random quotes by Antonio Machado.